Believe it or not, but decades ago, Indonesia was a socialist country, the cradle of the ‘Non-Aligned Movement’, with the progressive and fiery President Soekarno leading the nation. The Communist Party of Indonesia (PKI) was then the third largest Communist Party in the world, after those of China and the Soviet Union, and was it not for the US-orchestrated coup of 1965; it would easily have won elections in 1966, democratically and comfortably. All the key natural resources of Indonesia were in the hands of its people and the government; firmly and uncompromisingly. Indonesia was becoming one of the world leaders: still a poor country, but optimistic, determined and full of hope. Soekarno was a dreamer, and so were his Communist comrades. But besides being a ‘political poet’, Soekarno was also a pragmatic civil engineer, who knew a thing or two about both architecture and city planning. One of his great visions born at the end of the 1950’s was to build a brand-new capital for his enormous country of thousands of islands. It is believed that one day he calculated the precise location of the ‘geographical center’ of Indonesia, inserted a pin there, and declared that this is where the new ibu kota (capital or ‘mother’ city) would be constructed. The proverbial pin had marked the area which, in reality, was in the middle of the impenetrable jungle of Kalimantan (Indonesian part of Borneo), some 200 kilometers from the nearest city of some size – Banjarmasin. 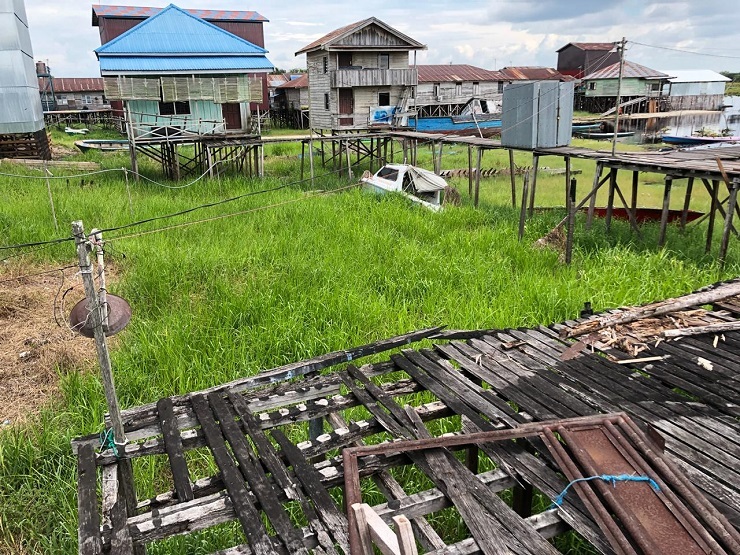 Before construction began in 1957, there was only a village – Pahandut – soon to became the capital of the new Autonomous Region of Central Kalimantan, with Soekarno’s comrade, Tjilik Riwut accepting the role of the first governor. One year later, however, the future city was renamed, becoming Palangkaraya. The task of designing the urban area came from Comrade Semaun, who was one of the founders and the first chairman of the PKI. He graduated from the ‘Communist University of the Toilers of the East’ in the Soviet Union. He often performed tasks of a city planner and, together with Soekarno, he was determined to erect the ‘second Moscow’ in the middle of Kalimantan/Borneo, with magnificent research centers, theatres, concert halls, libraries, museums and public transportation, as well as fountains, wide avenues, squares, parks and promenades. Soviet architects, engineers and workers, (but also teachers) were invited to help with this mammoth task. In the middle of the wilderness, between two tropical rivers, Kahayan and Sabangau, one of the greatest Asian projects of all times was slowly beginning to take shape. It was launched by President Soekarno himself, who on 17 July 1957 marked the inauguration of the monument in the middle of a new roundabout, which was expected to become the very center of the new city, of the new province, and eventually of the entire Republic of Indonesia (RI). The project started to move forward, feverishly, and enthusiastically. 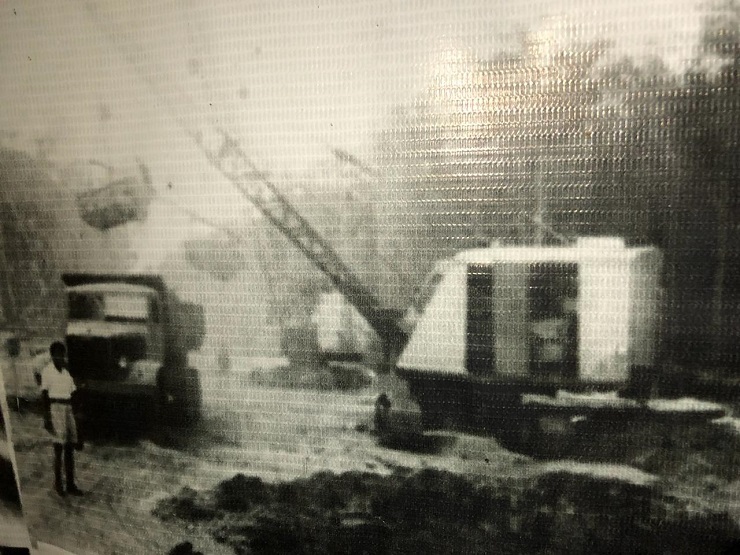 Soviets, side-by-side with their Indonesian comrades, were building roads and erecting structures. There were even plans to construct tunnels, practically bomb shelters, against potential attacks by the Malaysian and British forces; tunnels which could, at some point, be further deepened, widened and serve as the basic infrastructure for the underground public transportation of the city (metro). The revolutionary zeal of Soekarno’s idealism was igniting both local and foreign (Soviet) builders. It was that chaotic but marvelous ‘nation and character-building’ period often described by the greatest Indonesian novelist Pramoedya Ananta Toer – without any doubt the greatest era of the otherwise gloomy history of the archipelago. On September 30/ October 1, 1965, the West, together with treasonous Indonesian military cadres led by General Suharto and by the religious cadres, overthrew the young socialist democracy, and installed one of the most brutal fascist dictatorships of the 20th century. What followed was genocide. The country lost between 1-3 million intellectuals, Communists, atheists, artists and teachers. Rivers were clogged with corpses, women and children gang-raped, almost all progressive culture banned, together with the Chinese and Russian languages. Communism and atheism were banned, too. Even words like ‘class’ were forbidden, together with the Chinese dragons, cakes and red lamps. The Palangkaraya ‘project’ came to an abrupt halt. Soekarno was put under house arrest in Bogor palace, where he later died. Soviet engineers and workers were flown to Jakarta and unceremoniously deported. All Indonesians who came in touch with them, without exception, were either killed, or ‘at least’ detained for a minimum of one year; interrogated in detention, tortured and in the case of women, raped. The ‘Killing fields’ were not only in Java, but also both north and west of the city of Palangkaraya. The master plan, drawings, in fact almost all information related to the ‘second Moscow’ in the middle of Borneo, suddenly ‘disappeared’. Palangkaraya is now geographically the largest city in Indonesia, but it counts on only about 250,000 inhabitants. Like all other cities of the archipelago, it has inadequate infrastructure, notorious absence of cultural life, and it is dotted with miserable slums. It has absolutely no public transportation. Big dreams fully collapsed. But not only that: now, almost no one in the city or anywhere in the country, is even aware of those grandiose plans of the past, of that enormous project to build a ‘different Indonesia’. A truly independent, anti-imperialist country led by President Soekarno and the Communist Party of Indonesia (PKI), has died; was smashed to pieces. The stepping down of General Suharto changed nothing. No renaissance of socialism ever arrived. The Communist Party and thoughts are still banned. While working on a documentary film about the natural devastation and collapse of the third largest island on earth – Borneo – we came to Palangkaraya, the first time, in October 2018. What impressed us the most was how thoroughly the regime has wiped out everything related to the city’s past. People were scared to talk, or they simply ‘did not know’. As I recorded on film, children knew absolutely nothing about the past, except those few deceptive and primitive barks that were forcibly injected into their brains. We searched, but could not find any detailed references or drawings – here, or even in Jakarta, Bandung and abroad. All gone! Obviously, the great past of Indonesia remains classified, as ‘top secret’. It is because the contrast between the revolutionary dreams and monstrous present-day reality, is too great and potentially, ‘too explosive’. Pararapak Village, South Barito District, Central Kalimantan Province. 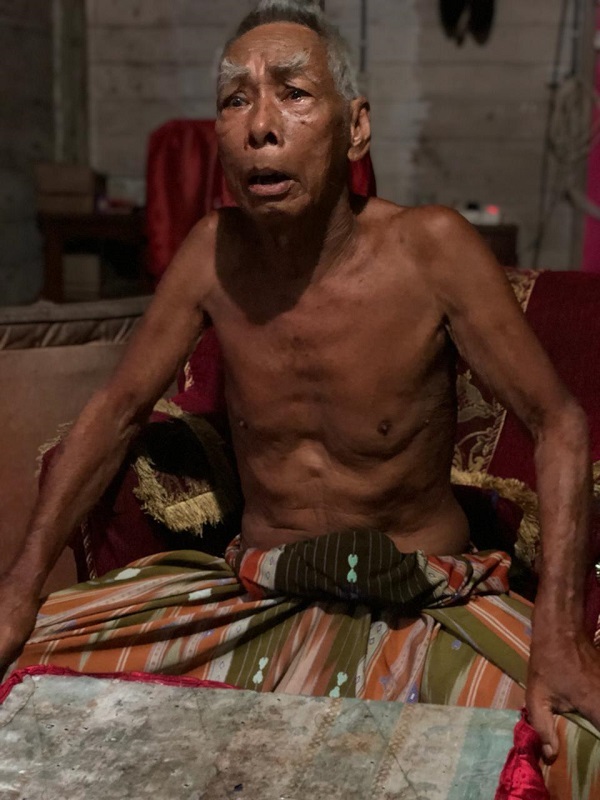 Mr. Lanenson, a 78 years old Dayak man appears to be the only person who can still ‘remember’, and is willing to talk openly about the Soviet people and their involvement in this country. Mr. Lanenson is a strong, determined man; he is proud. His face is animated, and he speaks loudly, passionately, as almost all progressive men of his generation (be it the greatest Indonesian writer Pramoedya Ananta Toer who has already passed away, or the extremely talented Javanese painter Djokopekik who is still active and full of spite towards the present regime), are capable of speaking. He worked with the Soviets, closely, side-by-side, like a comrade. Before 1965, he was employed by the Kalimantan road project agency (PROJAKAL), in the human resource division. And he was one of those who were later arrested, jailed and brutally interrogated, simply because he interacted with the Soviet citizens, and because he was trying to build, together with his foreign friends, a much better Indonesia. He spent an entire year in Suharto’s prisons, without one single charge being officially brought against him. Does he still remember the enthusiasm of Soekarno era; the ‘different Indonesia’ of dreams, hard work, and of ‘nation and character building’? He also strongly believes that if the coup of 1965 had not happened, Palangkaraya would be an absolutely different place. At one point, it began to rain. A heavy, tropical downpour. I could not record well, but he was unwilling to stop. “You can stay overnight,” he suggested. ‘Like in Afghanistan’, I thought, ‘whenever I work there and begin to speak Russian’, people want to host me, feed me. They want to speak and remember. Because the dreams of the past is all they have left now. Back in Palangkaraya, Ms. Ida, Tjilik Riwut’s daughter, sits in café that she owns, surrounded by black and white photos of her father, the former governor of the province, who is in them working, speaking and travelling together with President Soekarno and various other top officials, as well as with many common local people. She and her daughter Putri, do not know much about the 1965 massacres. Or they say they don’t know. Many topics, including this one, are fully taboo, until now. Or especially now, that the island of Borneo is thoroughly ruined, mined out, deforested and poisoned by foreign corporations and local thugs described as ‘businessmen’; those who got into the driving seat after the 1965 genocide. Perhaps, they simply do not want to address the topic. I will never find out. Whatever it really is, ‘they don’t know’. We hear basically the same things from a famous local journalist, Mr. T. T. Suan. Unfortunately, we find him bed-ridden, in grave medical condition. We do not want to disturb him, but his family insisted that we come in and sit at the edge of his bed. During the exchange, his daughter held his hand and shouted into his one good ear (he is deaf in the other ear, after being beaten, brutally, after the 1965 coup, as he was accused of ‘collaborating with Tjilik Riwut’). We asked him about the disappeared master plan of the city. Indonesian people and the world are not supposed to know all this. But it has to be known, documented, and explained. Before it is too late, before everything disappears, before people who can still remember will pass away. We are frantically calling and contacting the TjilikRiwut family, which is now spread all over Indonesia. We are told that some members of this family may be in possession of the master plan of the city. But we receive no reply. The master plan was either destroyed, or it was converted into a ‘top secret’ document, and is rotting somewhere in a metal safe box. The optimism of the socialist era is banned; strongly discouraged, almost never discussed. 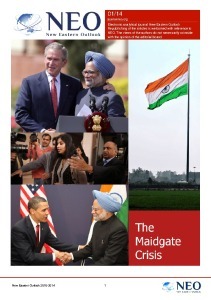 Grand public projects have been stopped, after the 1965 extreme capitalist and pro-Western regime had been injected from abroad, paralyzing the nation. As elsewhere in Indonesia, fabrications and censorship of facts is total. Both the press and academia are complicit. Obviously, a socialist, Soviet-style master plan of the city is part of the ‘politics’, as he had shown no interest in it. On our second visit to the city, an electric tower collapsed, after a storm. The entire city was covered in darkness, without electricity. It was desperately dark at night, except for ridiculously brightly-lit cigarette advertisements, banks, and a few hotels that were using their own private generators. When we reached the village of Kelampangan where the wreck of the high-voltage tower lay on the ground, we saw dozens of workers smoking, laughing, and doing nothing. As a matter-of-fact, a few of them called me ‘bule’, a violently racist but very common Indonesian insult which means ‘albino’. “We are waiting for cranes,” one of them said, after I asked why everyone was chatting, smoking and doing nothing. Someone was flying a drone above the accident site. Police officers were laughing. The city suffered, for several days, before ‘the crane arrived’ and the line was fixed. Nobody complained. People are used to the total collapse of their island and the country. Nothing is expected, nothing is demanded from the system; in Palangkaraya, or elsewhere in Indonesia. The village next to the Km 27 (from Palangkaraya) is called Marang. I film illegal gold mining boats or platforms, floating on the river. There is no cover, no fear of getting caught while ruining the environment, illegally. Again, nobody knows anything. People are openly laughing in our faces, when we ask about the mass killings and the mass graves. “In the building called Ureh (Gedung Ureh, in Palangkaraya City) everyone who was suspected of supporting PKI or somehow related to it, was detained. Yes, hundreds of people were detained there, with no adequate facilities. Men and women were forced to be mixed together. Some women were raped, got pregnant. Torture was common. From there, people were brought here, to KM 27, and killed”. How many? “Many, many…” She does not know, precisely. She was too young; she was too scared. We drive to Km 27. There is a river, a ‘secondary forest’. Silence. Nobody knows. Nobody knows anything here, or in the Pararapak Village. At both places, there is dead silence, periodically interrupted by the badly tuned engines of scooters belonging to the villagers. We found a creek where thousands of bodies were dumped. Everyone whom we approach is laughing. It is bit like in Oppenheimer’s film “Act of Killing”. These used to be Indonesian concentration camps, of which the largest one was located on the Buru Island, where almost all the intellectuals who were not murdered, were detained after the so-called‘1965 Events’. Here, outside Palangkaraya, those who are not afraid to speak, call these smaller camps and killing fields “Buru in the rice fields”. The West, which takes full advantage of the mass plunder of Borneo and entire Indonesia, calls this country ‘normal’, ‘democratic’ and ‘tolerant’. Balanga Museum, Palangkaraya. This was supposed to be a tremendous National Museum, if the plans of Soekarno had been implemented. Now it is just a complex of beat-up, one storey barracks, badly kept, underfunded and understaffed. We visited a building dedicated to the collection of photos and artifacts from the Tjilik Riwut era. Two museum curators, or call them attendants, had absolutely no idea about how Palangkaraya was exactly built. Nothing about its master plan, not even precisely what the ‘master plan’ consists of. The senior attendant knew nothing about the mass killings in the region. When we insisted, she began looking at us with fear. She wanted us gone, far away, but was too polite to insist that we leave the premises. The Indonesian writer J.J. Kusni, who was born in Central Kalimantan, but spent many years in France, is now back. With his wife, he lives in Palangkaraya. So far it is not clear whether he was exiled in France, or whether he went to study in Europe and stayed there for decades. What is known is that during Orde Baru (Suharto’s fascist “New Order”) he was banned from entering Indonesia. J.J. Kusni tells us about the concentration camps, and the killing fields. He also paints a bleak picture of despair, when speaking about the present state of the city and the province. Could Palangkaraya be described as a total failure, a cemetery of dreams? An enormous territory of the city is covered, like in the rest of the cities of Indonesia, by badly planned neighborhoods. There are slums on the banks of the rivers; brutal shanty towns, some on stilts, with no basic sanitation and the extremely sparse supply of water and electricity. Huge mosques are being constructed everywhere. There is no culture here, and very few public spaces. Just a regular Indonesian city, where the “state is unable to provide basic services for its citizens” (the definition of a failed state, in theory). Unfortunately, the historical studies conducted by Mr. Kiwok for decades, have not been well promoted. Allegedly there was even an attempt to eliminate the documents,most likely for political reasons. In the library, we asked whether there are many Indonesian and foreign investigators and researchers interested in the history of the city. “No one ever comes to ask questions similar to those you asked,” is the answer. The Soviets are gone from Palangkaraya. Their legacy had been wiped out by the loud shouts of hatred, by blood spilling, implanted ignorance and by determined propaganda and intimidation campaigns. Nowadays the Soviet Union is no more, too, although the strong anti-imperialist Russia, in many ways, has replaced it on the global stage. Everyone remembers the “Russian Road”, the one that leaves the circle and moves westward. It is allowed to mention, even to glorify this well-built artery. But only if it is done ‘out of context’. “Russians built the road; good road, perhaps the best road ever built in Indonesia.” Full stop. Nothing about socialism, Communism, the Soviet Union. Nothing about Soekarno the PKI, and nothing about the anti-imperialist mood of the young, independent – yes truly independent – country. In reality, Russians (not really ‘Russians’, but people from all parts of the Union of the Soviet Socialist Republics), came to Kalimantan in order to support the newly independent, socialist Republic of Indonesia. They came to offer internationalist help and solidarity, to build the capital city, and eventually the industry, infrastructure, hospitals and schools. That’s what the Soviets regularly did: in Africa, Vietnam, and Afghanistan or in the Middle East. The Palangkaraya of Soekarno has collapsed. It is no more. We tried to find a quiet place to discuss the city with the granddaughter of Tjilik Riwut, who recently returned from Jakarta. There were two places she could think of. One was a bar filled with smoke and loud shouts, as well as monstrous rock and pop fusion ‘music’. But it was impossible to talk there, due to the decibels. The second was in one of two semi-decent hotels. But it turned out to be a whorehouse disguised as a karaoke bar. We ended up in the garden of our hotel. “What do people do in this city of a quarter of million?” We wondered. There was not much she could think about. There was not much we could think about either. We mentioned the metro, National Theatre, huge beautiful museums, galleries, concert halls, the circus, research institutes, parks with fountains, public hospitals, and universities with well-stocked libraries: all public, all for the public. We tried to engage her in a conversation about Soekarno’s and her grandfather’s dreams. And the result is this essay, and soon a book about the great socialist dream that never came through. A dream that was silenced, smashed and smeared by nihilism, servility and selfishness. But perhaps, only for the time being. The dream was called Palangkaraya. And it was made of tremendous stuff: of zeal, of men and women, side-by-side, altruistically, building a new capital city of their new, beloved Indonesia, in the middle of nowhere, for the people – always for the people! This dream is too beautiful. It can never be betrayed. It should never be forgotten. And therefore, we will not allow it to be forgotten.